Can you give us your evaluation of the banking sector in Côte d'Ivoire in 2014? Thanks for the opportunity you are giving me to talk about the latest developments and changes we have seen over the past three years of President Ouattara in office, since the end of the turmoil in April 2011. The last time we met was an extremely tough time, as we didn’t have clear visibility of the business prospects in the country for security reasons and also because there were reforms to be undertaken. A major event that occurred in June 2012 is the entry of Banque Centrale Populaire du Maroc (BCP) into the capital of the Group – for 50% with the historic shareholder AFG to create a new holding called Atlantic Business International (ABI), which has been coordinating the activities of Banque Atlantique affiliates in 7 sub-Saharan African countries since September 2012. After three years of administration and private sector reforms by government, we can see we are on track with regard to the key indicators. As we all know, Côte d’Ivoire had a negative growth rate of -4.7% in 2011, which then moved to 8.3% in 2012; and this remained almost unchanged in 2013 and 2014. Security has improved significantly in the country and there have been a lot of reforms undertaken to improve the business environment. According to the Doing Business Report, we are amongst the top 10 reforming countries, even though we admit there still are further reforms to undertake. By way of example, we created the Court of Commerce and defined its modus operandi; and worked to reduce litigation settlement time to 45 days, with communication on the whole process. Equally, we’ve seen a reduction of the time for the issuance of property titles; the Permanent Concession Order is now simplified into a single document. We also have all the infrastructure projects we see every day, including the third bridge known as the Henry Konan Bedie bridge and other secondary roads that are under construction; the highway to the North in the financing of which Banque Atlantique contributed USD 80 million. So, there is some dynamics, which wouldn’t have been the case without a banking and financial sector right on its feet that turned the page on the difficulties of a crisis where businesses lost money. The sector is really back on track. To give you some figures, there are 25 credit institutions in Côte d’Ivoire, including 24 banks, accounting for a total financing capacity of over CFA 5 trillion for retail and corporate, with over CFA 4, 2 billion for individual financing and about 90% for corporate financing. From 2012 to 2013, we recorded over 23% increase in the amount of credit injected into financing the economy, and 25% increase in deposit. There’s a good correlation of 90% between deposit and credit levels, which is to be encouraged. We also encouraged banks to make efforts to offer long term financing. In the area of long term financing also, efforts have been made because the Central Bank decided late 2012 to bring down the transformation ratio from 75% to 50%, which helped banks to automatically finance more than 23% additional medium/long term credit, but there still is more to do, especially with regard to long term credit for productive investment and real estate for which the Professional Bankers Association of Côte d’Ivoire (APB) organized an economic forum two years ago to encourage banks to offer property financing with a view to accompanying the housing policy of the Government that envisions building at least 60,000 medium and low standing houses every year for those who are in urgent need. And I think banks should accompany that policy. This assistance should start right from the acquisition of the plot down to the financing of the proponents, i.e. property development loans and the financing of buyers, i.e. buyer loans. Banks should be present. This is the context in which we are operating. The banking system continues to reinforce its position within the UEMOA/WAEMU zone. Banks are leading, and we account for at least 35% of the key indicators in the UEMOA/WAEMU zone. We have a bank penetration rate of 14%, which is still low but it is important to note the average is 7% within the UEMOA/WAEMU zone. So, in terms of financial flows, inter-bank loans, flow amongst subsidiaries, I think we are still delivering owing to the framework established by government and work done on a daily basis to improve our environment. I believe banks will continue to advance. A lot has been achieved, but there still is more to do because my guess is, to become an emerging economy, we must reach a bank penetration rate of at least 50%. This needs to be achieved through ingenuity and innovation; and a lot of regulatory rigidity should be lifted because the mandate of banks and regulatory authorities should be in line with countries’ development objectives. Banks are expected to increase their capacity to transform short term deposits they have so they can finance long term investment. We also expect reforms on leasing because there is a need to finance SMEs, and we need more reforms to serve as additional leverage to enable banks enter into leasing. Because the advantage with leasing resides in the fact that it is the asset financed that serves as guarantee. So, there are some improvements that we are expecting in this regard and we are waiting for the legislative reforms to take place; for the tax system to be reviewed on these issues; and for government to put in place, as set out in the Phoenix Program worth USD 200 million, the tools and mechanisms they announced: create an agency for SMEs, an agency for craftsmanship; allow some ease in the shift from craftsmanship to SME. We are expecting mechanisms to be put in place to enable banks to use those tools as catalysts to be able to offer more credit, such as guarantee funds; promote an environment that is conducive to the creation of incubators, to the advent of investment funds in terms of equity capital; have a tax system that encourages such structures to get interest in entering into the capital of SMEs and give SMEs the profile of bankable businesses that deserve support in terms of their operations and investment. We also want the banks to be able to help them harness their potential. It’s a process with aspects to be improved. The president drew our attention on the issue of the financing of SMEs and we made proposals. We expect that SMEs can have a quota, so they can compete for public contracts and develop in both the domestic and regional markets. As you mentioned, this bank has evolved in a rather difficult environment so tell us, what are the main priorities of the bank at the moment here in Côte d'Ivoire? 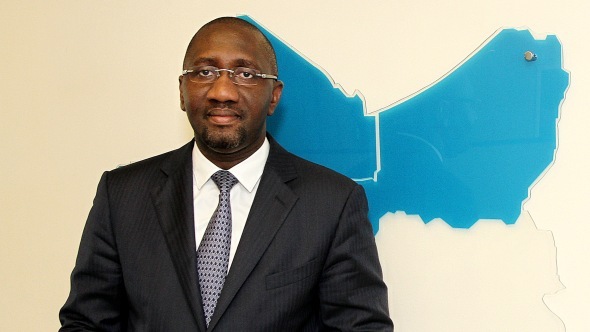 I am the Chairman of the BACI (Banque Atlantique Côte d’Ivoire) Board and the Director General of the Banque Atlantique Group in 7 UEMOA countries. 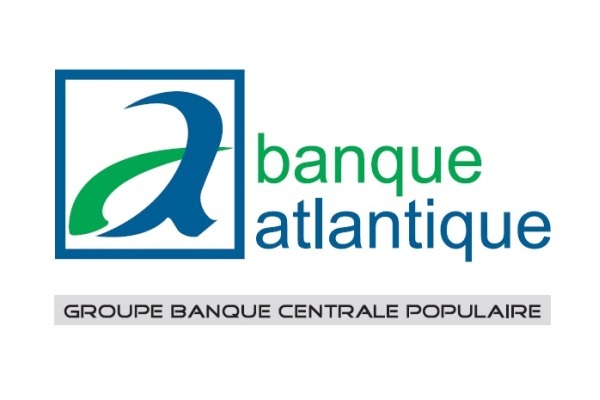 To talk about Banque Atlantique, I will start by a major event that occurred in June 2012, with the entry of Banque Centrale Populaire du Maroc (BCP) into the capital of the Group – for 50% with the historic shareholder AFG to create a new holding called Atlantic Business International (ABI), which has been coordinating the activities of Banque Atlantique affiliates in 7 sub-Saharan African countries since September 2012. 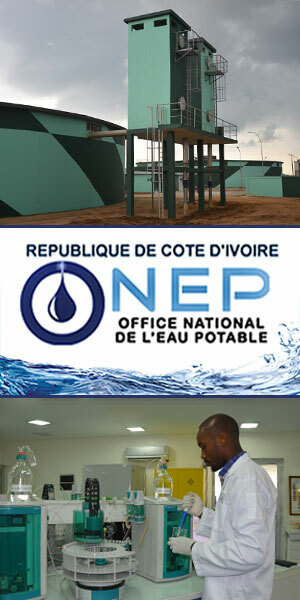 We have initiated many structural projects in all segments of our industry with the injection of money we received from BCP, which allowed all our affiliate banks, especially Banque Atlantique Côte d’Ivoire, to comply automatically with the prudential measures in terms of solvency and credit-rating; and endowed our bank with adequate resources to develop our policy for the financing of the economy. We deployed efforts immediately, and after the first three months of operations, we could see some benefit. We have certain budget planning tools in place, like medium term programming, which enable us to make 3-year projections for our main activities under the wing of BCP, and to launch a few investment programs in terms of information systems or branch re-branding and sharing of best practices between BCP and Côte d’Ivoire. We worked with BCP on all these structural projects, as well as the enhancement of the rules of governance. We also worked on new products for both retail and corporate customers, always in a spirit of synergy between BCP affiliates and subsidiaries of the Banque Atlantique Group. This co-operation and restructuring led to satisfactory results at the end of FY 2013, when the Group made profitable results. BACI was able to achieve a profit of CFA 8 billion, representing roughly USD 16 million, which is a significant achievement after the restructuring; and increased its market share to position itself as the second largest bank in Côte d’Ivoire based on data provided by the Professional Bankers Association of Côte d’Ivoire. I would say BACI is on the right path. The entry of BCP into the capital of our Group, which occurred in a spirit of partnership, was a good thing. Today, I can say the relationship between our two main shareholders is very good, and AFG has decided to transfer an additional 15% shares to BCP for personal reasons. We are currently finalizing that transfer process, which is almost complete. This will allow BCP, which was already entrusted with the administrative management of the Group, to become the main shareholder of ABI. We went even further and our two shareholders agree with each other so well. Because the historic shareholder has an insurance group in Côte d’Ivoire and in Togo, they decided that ABI, i.e. BCP take 50% of the capital of this insurance group in order to succeed our transformation from a banking group to a financial group. So today, we are the first real financial group in the region to operate in banking and insurance. Insurance is a new sector, though, but it is a regulated profession that is closely linked to banking. So, we hope to perform in the insurance sector as we did in the banking sector. Overall, things are progressing gradually and we hope to continue to consolidate the position of our group within the UEMOA/WAEMU zone; and we’re expecting to be part of the banking groups of reference in this region that finance the economy in the zone, i.e. finance larger businesses but also SMEs, and individuals; and especially participate in the promotion of bank penetration because this is a model in which we achieved success in Morocco. We are the first bank in Morocco with about 5 million customers and we very much participated in the promotion of bank penetration. We are currently developing a model here in Côte d’Ivoire, with the creation of a micro-finance institution which will be called Atlantic Micro-Finance for Africa, so the lower income population can fit into the formal banking system through various tools that meet their needs, to have an impact on the bank penetration rate. What are the main challenges you face in terms of corporate banking? In terms of corporate financing, I think we have already conducted some significant operations in the region. Last year, in Senegal, we succeeded in mobilizing over USD 500 million for the Government of Senegal, which was an experience never seen before but we did it, because now we have a banking group behind us called BCP that has expertise in this kind of operations and which helped us to achieve this. We also succeeded other financing operations for corporate entities like Port Autonome d’Abidjan and in Lome (Togo); we financed various road construction projects. 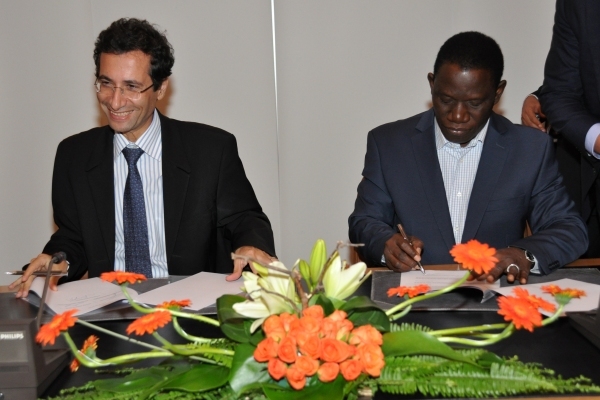 We participated in the financing of the Abidjan-Yamoussoukro highway, here in Côte d’Ivoire. Further, we participated in many financing programs for many projects in the oil and gas sector and more specifically in oil refinery in different countries. Given our organization and our capacities, our objective is to focus on structured financing in terms of infrastructure projects with the support of our investment bank, i.e. Atlantique Finance; and also work with SMEs by offering them financing that suits their needs. In this regard, we are expecting further reforms, particularly for the regulatory authorities to allow the eligibility of some of the receivables of SMEs for refinancing. We also hope government will put into place some guarantee mechanisms that alleviate somewhat the risks banks take with these customers. We will continue to work aggressively in the SME market, and to develop a regional strategy because the tendency today is that banks must follow customers. We have customers in Côte d’Ivoire and other countries of the WAEMU zone; they must be convinced they have one bank that can meet their needs wherever they are. In doing so, we will be able, from one location, to manage and access all the facilities offered by all affiliate branches in other countries. In addition to this, and as you may know, relationships between Morocco and West Africa are being strengthened; so, we have a strategy in place to support Moroccan corporate bodies that have already gained control over their domestic market, and are exploring opportunities to extend their operations to other countries. We are trying to implement a strategy to support them in new countries where they have operations because they have succeeded in gaining control over their domestic market. These are the main lines of our current strategy and as I mentioned earlier, we hope to continue to consolidate and strengthen our position in this sector with a more aggressive strategy,while putting in place processes that enable us to be very competitive and swift in processing request made by our customers. What is your vision for the bank in two or three years’ time? What would you really like to achieve? My first target for the next three years is to see all our subsidiary banks ranked amongst the top 3 banks in each of their markets where we operate. In Côte d’Ivoire specifically, my objective is to be the leader in the banking sector. We are working hard to achieve this because Côte d’Ivoire being the engine of the economy in the region, we really need to ensure we are the leader in the banking sector in Côte d’Ivoire. We worked very hard over the years to position our bank as the second bank in the domestic market, now we need to work even harder to become the leading bank. And we can get this done. Equally, in the next three years, I wish to see our Group become the banking group of reference within the WAEMU zone. We wish to hear Banque Atlantique mentioned among the top 3 banks when you ask of the top 3 banks because this is a bank that will be present among the low, medium and high income-earning population. We will target SMEs, larger businesses, and individual. We wish to see Banque Atlantique as a truly universal bank. These are my ambitions and I think with the strategy we are developing, we should be able to achieve this in the coming years.